Sharing files and contacts has always been sort of an easy task for Android users. But can you believe it, SonicShare just made it easier. With Sonic, you don’t need a WiFi connection, Bluetooth pairing, Cloud accounts, or anything. 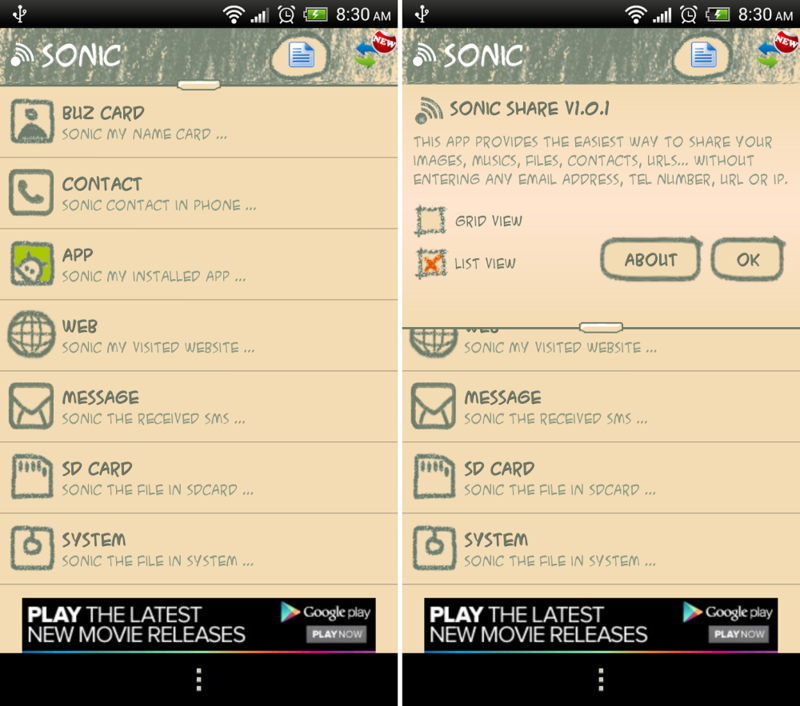 Simply choose which files (no format limitations) you want shared and send to your friend/partner who has the SonicShare app installed too. What makes it so easy is that all you need to do is pick a nickname and then that’s it – no account setup or email address is needed. If you believe that sharing is caring, give it a try. Oh, did I mention it’s free? Note: As a commentor pointed out, the service uploads your files to their servers, then pushes them to the other device. Once uploaded, they are then “deleted 15 minutes after initial upload.” So, if you don’t want your important files being tampered with, then you should use caution.